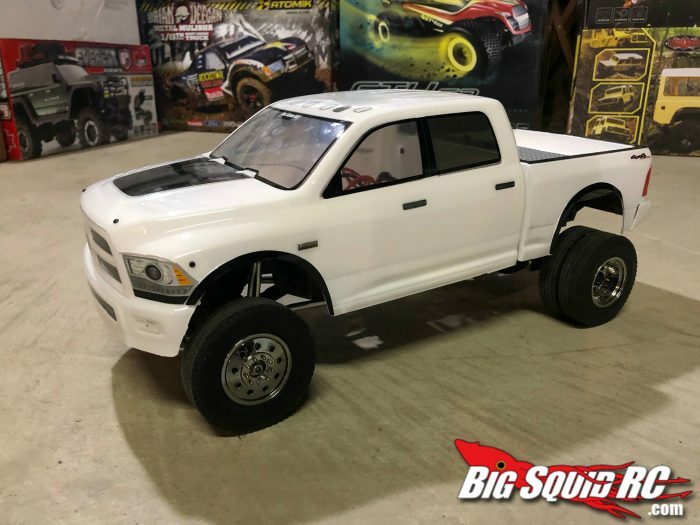 EVERYBODY’S SCALIN’ – REDCAT EVEREST GEN 7 DUALLY « Big Squid RC – RC Car and Truck News, Reviews, Videos, and More! Hello everyone and welcome to this weeks Everybody’s Scalin’! 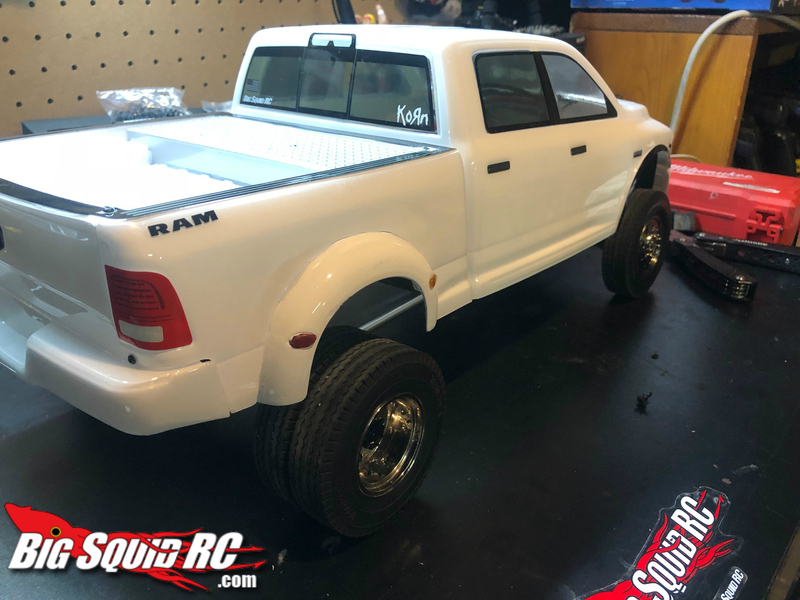 With the Redcat Racing Gen 8 Scout being released soon I thought why not knock out one of my winter projects and give our Redcat Gen 7 a makeover. Our Gen 7 has takin’ a good beating more than once and it is still in one piece; I know right, that never happens. 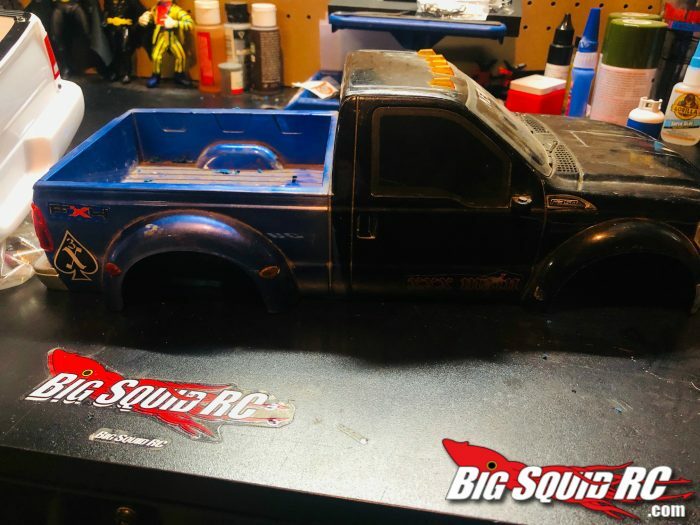 So cue the Transformers theme song and get ready to find out how we took the Gen7 from Crawler to scale dually! Dually’s are not the most common scale rigs out in the wild so anytime you see one you should check it out. For the Gen 7 dually build I was lucky enough to have 99% of what I needed in my junkyard. Let’s start with the base or bones of the build if you will. 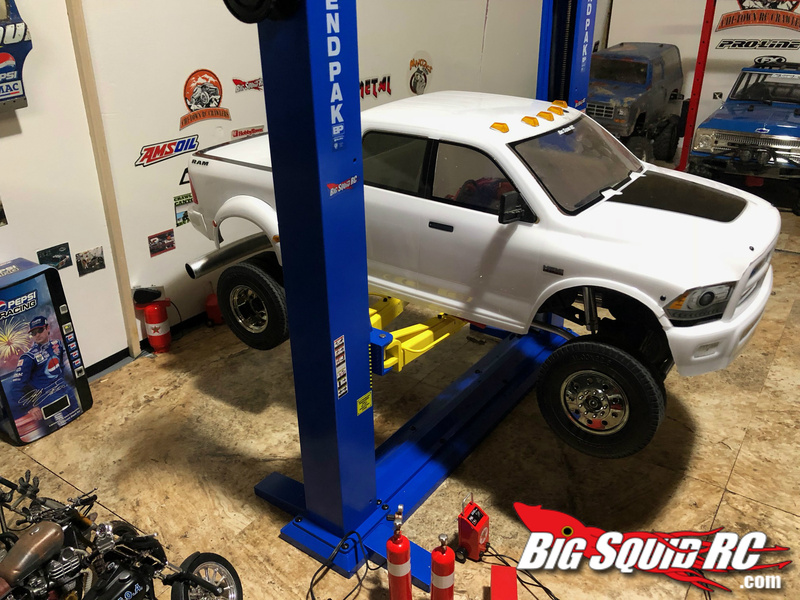 The box stock Gen 7 Pro sits higher than I needed so I took off the stock shocks and added a set of RC4WD stock Trailfinder 2 shocks. This not only gave me the right height I was looking for but also a more scale realistic look. If any rig sits around my shop for too long without being used it will end up getting stripped of parts for other builds and my Tamiya Globeliner was a big help in this one. The front wheels from the cab and a set of rear dually wheels from my trailer was all I needed for the time being. Now the rear Tamiya dually wheels are 12mm hex so mounting them to the Gen 7 was no different then putting any other wheels on. The front wheels however are not hex nor pin. They use brass bearings that sit on the shafts. 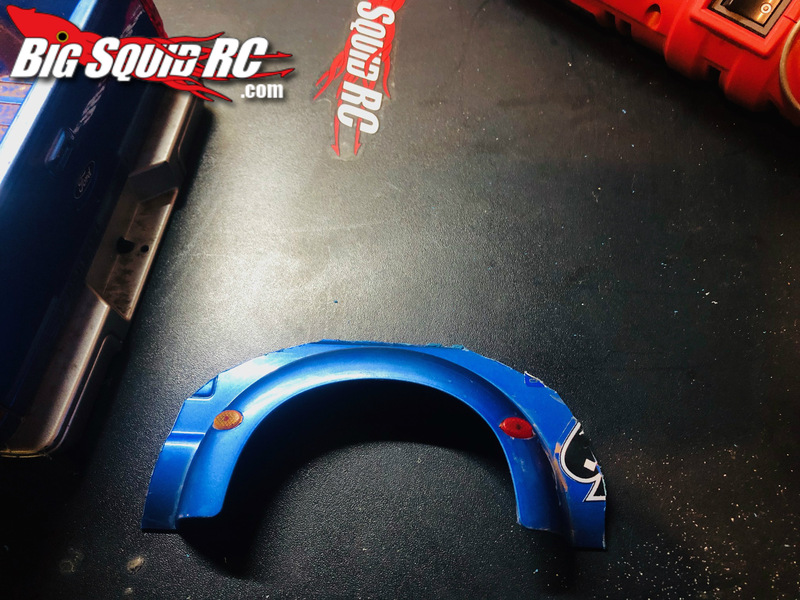 RC4WD makes a 12mm hex adapter that mounts to the Tamiya semi front wheels. Till I get the hex adapter the dually is basically 2wd and for the style of this build that’s ok. 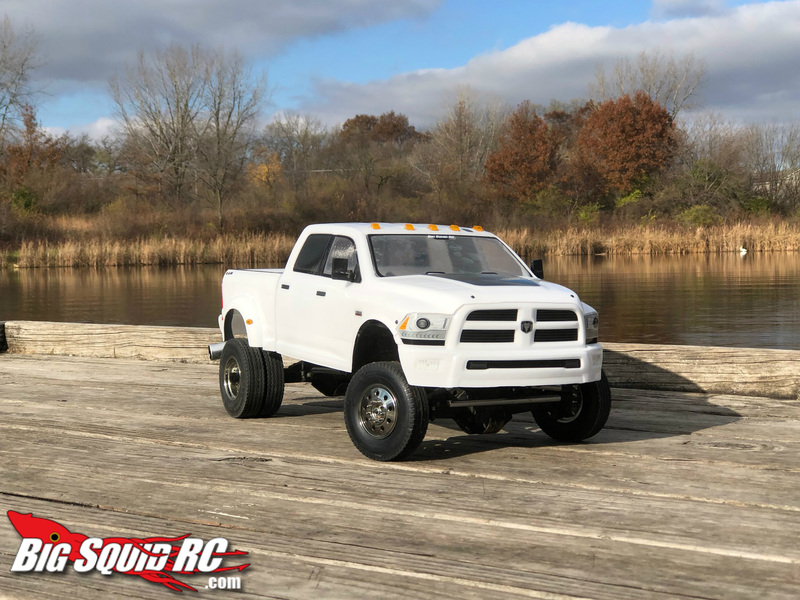 The Axial Power wagon body was a perfect fit for this build. I only had to make a minor wheelbase adjustment, other than that, it fit perfectly on the Gen 7 chassis. Now, here is where it started to get tricky. I spent about two days trying to figure out how I was going to make the rear fender flares. Then I came across a New Bright hardbody I had tucked away. 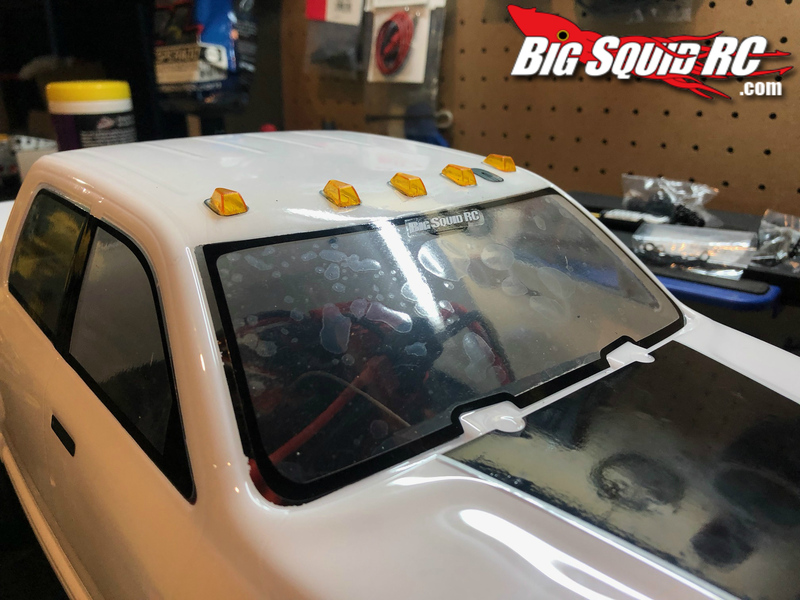 Using a dremel I cut the fender flares out of the New Bright body and made sure to make the cuts a little bit longer so I could just slide it up underneath the Axial Power Wagon body and glue them from the inside. That way it has more of a seamless look to it and not just glued on the outside of the body. The little New Bright body also helped in donating the cab marker lights. I have been holding onto that New Bright body for about 6 years now. Let’s just say sometime being a hoarder comes in handy. The last little details were the side mirrors and exhaust pipe. I took the side mirrors off of the Gen 7 Pro body and they fit like it was meant to be. Now, being a Dually I was on the fence about how to do the exhaust pipe. I had a lot of people giving me suggestions like stacks or a hood stack. I ended up doing the regular exhaust out the side of the truck for the simple fact that the Axial Power Wagon body has a bed box and I thought stacks would look funny coming out of the tool box. After a quick trip to the hardware store I had my exhaust pipe. 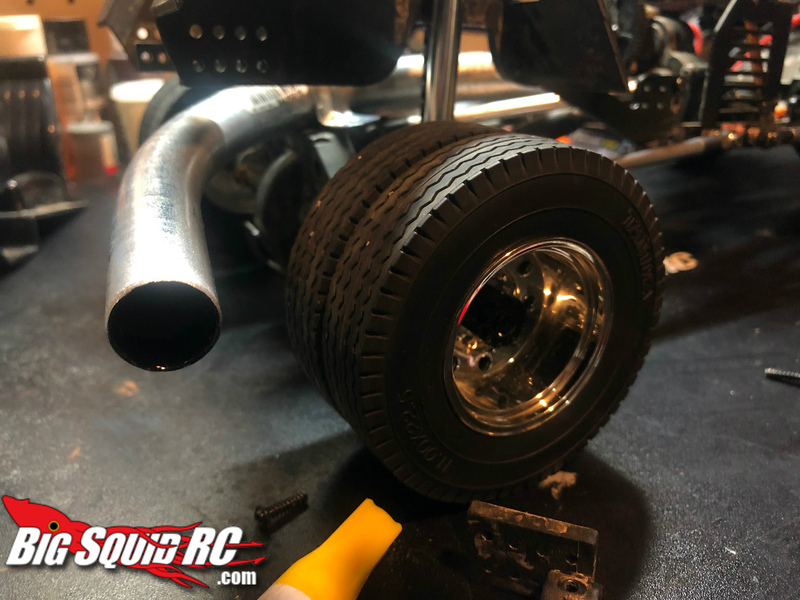 I used a ½ inch pipe and attached it to the rear axel. It puts the pipe in perfect position to run a smoke generator into it. All and all I think the Gen 7 Dually turned out great. And utilizing the parts I had laying around this build only cost me 6 bucks. Now I know if I didn’t have any of the parts it would have cost a lot more. So, the next time you go to throw something away think about it for a few minutes, you never know if it will come in handy in the future. If you are interested in doing this build or one similar check out the parts list below. Till next time, have a great weekend and keep scalin! !